It is clear that the appellant and her husband are entitled to have copy of the complaint, even if it is assumed that the complaint is in the nature of sexual harassment, the Commission said. Central information Commission has directed the Delhi University to furnish the copies of complaint of harassment sought by a College professor. Prof M Sridhar Acharyulu said that denial of such information will be violation of Right to Information Act and Sexual Harassment at work place (Prevention, Prohibition and Rehabilitation) Act 2013 and rules made thereunder. The professor had, through an RTI application sought for the copies of complaints of harassment, made against him and his wife, by some students(research scholars). They were denied by the CPIO of the Universities, those copies, stating that disclosure of such information would be inappropriate, as it would endanger the physical safety of the complainants/accused and that the personal information is held by the University in fiduciary relationship with the individuals concerned. The Commission observed that the complaints by 9 students against husband and wife were not of of sexual harassment, but substantially of serious harassment. If the University considered the complaint as the sexual harassment it should have referred to Committee against Sexual Harassment of the College for inquiry, which is mandatory under 2013 enactment and the directives of Supreme Court. If they had not constituted committee prior to this complaint, they should have constituted, at least after such complaint is received. After study and verification of the records submitted in sealed cover, the Commission finds that the complaint of 09 students was not referred to the committee against sexual harassment, because the authority also was not sure whether the complaint disclosed any allegation in the nature of sexual harassment, the commission said. The commission also said that under Rule 7 (1) of Sexual Harassment of Women at Workplace (Prevention, Prohibition and Redressal) Rules, 2013 , the applicants is entitled to have copy of the complaint, even if it is assumed that the complaint is in the nature of sexual harassment. The commission also said that there is no evidence to show that the applicants did not know the identity of research scholars whom they were guiding and that such disclosure would endanger physical safety. The commission also observed that the information sought is relating to public activity of two Professors and there is a public interest in proving or disproving the allegation of harassment. 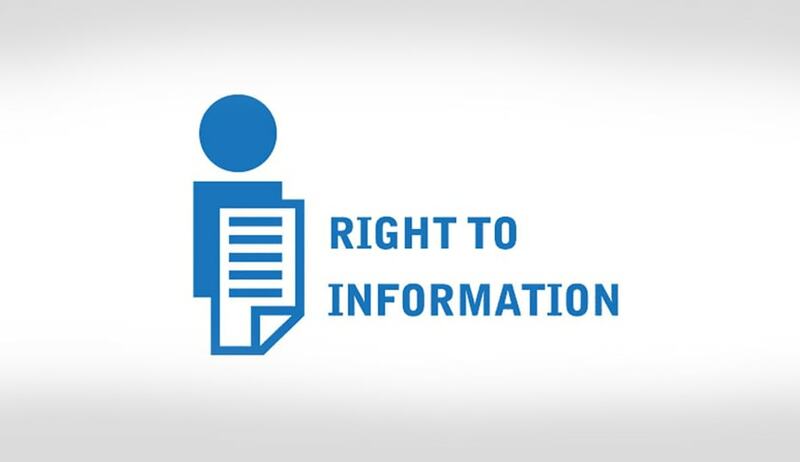 As the public authority has not initiated any inquiry against the appellant and her husband, it is not entitled to invoke exemption/exception under section 8 of the RTI Act, the commission said. The commission also said that PG students did not give any secret information or did not ask the authorities to keep the information confidential, but they made a complaint and wanted the authorities to act on that. This is not information, but a complaint required to be inquired into. The public authority like University, in this case has not conducted any inquiry into the allegation, but wrongly claimed that the ‘complaint’ is personal or fiduciary information and illegally denied the same to the officers who were accused, the commission observed. The Complaint filed by three male and six female PG students against Dr. Sanjay Agarwal and his wife Dr. Aruna Agarwal is not of sexual harassment but of serious harassment, which do not attract any provision of Sexual Harassment of Women at Workplace (Prevention, Prohibition and Redressal) Act, 2013. Even if assumed that the complaint in this case discloses possibility of sexual harassment charge, Section 16 of Sexual Harassment of Women at Workplace (Prevention, Prohibition and Redressal) Act, 2013 does not prohibit sharing of the copy of complaint with the complained officers. Public authority should read Section 16 of Sexual Harassment of Women at Workplace (Prevention, Prohibition and Redressal) Act, 2013 along with the rules made under this Act and circulars of DoPT which specifically direct them to provide a copy of sexual harassment complaint to charged officer. Principles of natural justice demand that the copy of the complaint must be given to the accused officer so that he would get ample opportunity to defend the charge made against him. It is absolutely irrelevant and wrong to assume that disclosing identity of complainants to the complained officer would endanger the life of complainants, when the complainants were PG students researching under the supervision of the complained doctors. It is absolutely wrong to consider the complaint given to authorities for taking action as information given in fiduciary relationship. Invoking irrelevant provisions of exceptions, wrongly assuming the complaint as sexual harassment complaint and wrongly interpreting Section 16 of Sexual Harassment of Women at Workplace (Prevention, Prohibition and Redressal) Act, 2013 by the public authority do not reflect any good faith on the part of CPIO and other officers but show that they are unreasonably not interested in sharing any information with the appellant and her husband. Hence the Commission directs CPIO to furnish the certified copies as sought under point A, B, C, & D, within 20 days from the date of receipt of this order.